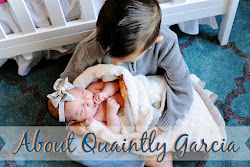 Quaintly Garcia: JD is Potty Trained! This past weekend we realized that JD is fully potty trained! We took him out and about and even at the fair he let us know when he had to go potty. We also haven't used his easy ups for over a week now. Another thing I realized with JD's new milestone, is that he is officially not a baby anymore, he's a big boy! This realization is a little hard to adjust too, because he will always be our baby, but at the same time we are so proud of him. I have to give most of the potty training credit to hubby for deciding to just let him run around in underwear (he actually bought him his first pair) a few weeks ago and I want to thank auntie Mari and Aba for encouraging and supporting his potty training on a daily basis!